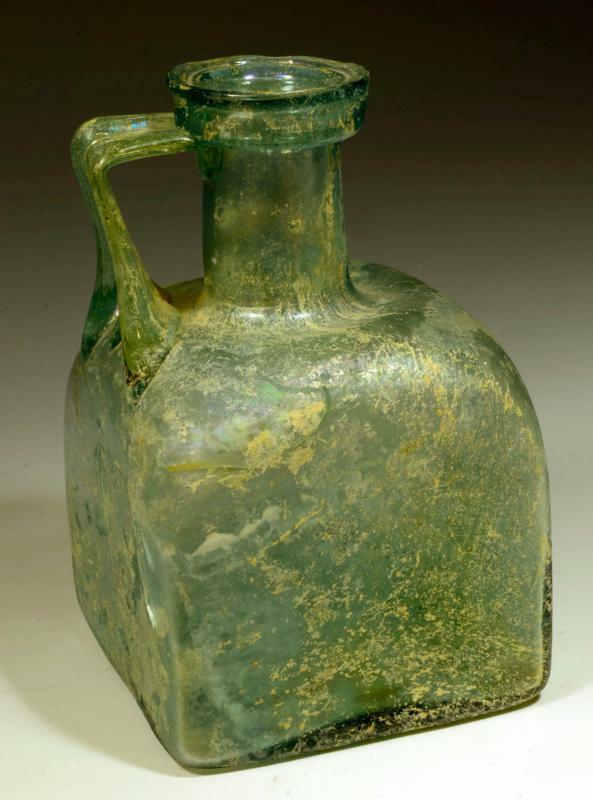 A green glass blown vessel of square form with arched shoulder, cylindrical neck and wide, multi-folded lip. Wide, ribbed handle attached to the neck. Size 5 inches (12.8cm) H.
Provenance: Ex Collection H.G., Rhineland-Palatinate, 1970-1999. Compare Y. Israeli, Ancient Glass in the Israel Museum (2003) p.255, no. 325.